Tarot cards are connected with the number they are associate with. It can be helpful to look at the numerological association to determine where the seeker is at in their life. It can also describe personality types and situations. 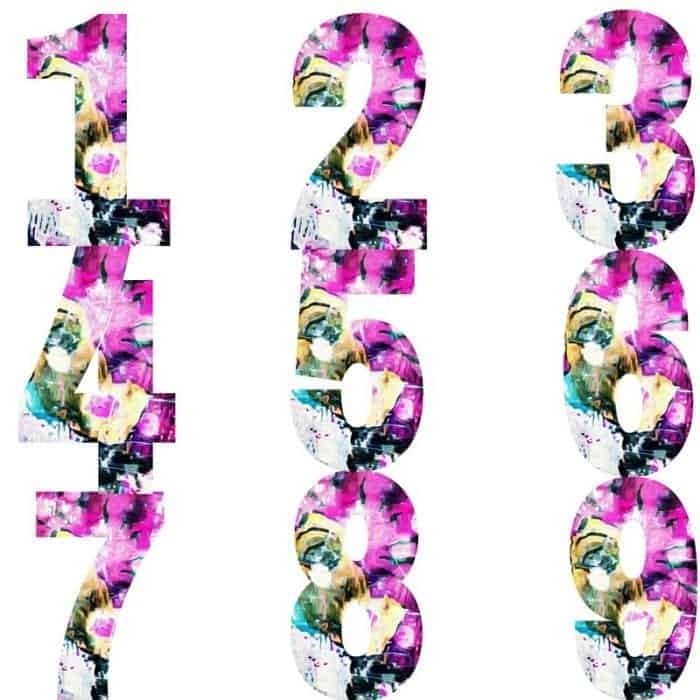 Tarot and numerology are interconnected and because of this you can read the tarot using numerological systems described in The Arrows (a new way of reading tarot card combinations). Number 0: Gods number. God is speaking and working straight through you. A direct spiritual channel. You are deeply connected and can trust your intuition and guidance. Number 1: Being number 1, and putting yourself first. New beginnings, working hard to achieve a goal, self-employment, being in charge, winning, seeking new ways of life and opportunities. Number 2: Does best in two, as in likes to pair up . If cornered becomes the terrible two, meaning a situation can be toxic if too much pressure is put on it. Love and compassion, union and flow. Losing ones identity to become part of something bigger. Balancing ego. Ego must be your amigo. Letting others in. Number 3: Communication, creativity, humor, entertainment, artistic expression, transition, and drive. Nothing can stop you. Number 4: Stability and education. Mastering a skill. Becoming and expert. Having a solid foundation to build upon. Reliability. Commitment. Abundance and peace. Observation. Protection. Needing family. Number 5: Adventure and travel, drama, never a dull moment, being a detective, finding out the truth, knowing when people are lying to you, needing freedom, unable to conform. Number 6: The nurturer, the perfect partner, home, and job. Love and bliss, especially in the home and in a career. Love of children and animals. The need to be needed. Having to be in charge and in control. Beauty and attraction. A tendency towards self-sabotage when things are going well. Number 7: Love of nature, animals, and spirituality. Thank God or think you are God? Meditation, yoga, relaxation, introvert, asking all the big questions, observer of life, kindness, gentleness, needing space and time alone. The mysterious loner. Number 8: Business and leadership. The need for financial security. Learning the hard way by not listening to others advice. Workaholic. Lessons about money. Intelligence and success. Repeating of patterns like the figure eight, it goes around and around. A karmic number, what goes around comes around. Secrets will be revealed. Number 9: The old soul and humanitarian. The number for the earth angel and reaching your highest potential. Feeling either responsible for family or abandoned by them. Being like an angel or if reversed a fallen angel. Endings. Creative expression. Physical strength. 10: The number 1 with the 0 denotes new beginnings with a deep spiritual undercurrent. Life purpose and soul mate relationship. The need to be connected to God as well as Earth. 11: Master number. You must master your life. Take everything to the next level. Work extra hard to become a master in your field. Manifesting potential, the gateway is open.